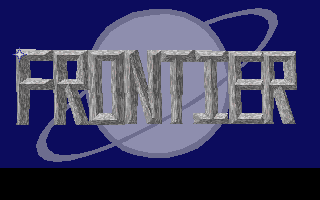 Here is the first piece to feature on Choicest VGM from Frontier: Elite II which isn't an original composition of Dave Lowe's. This music was originally composed by Edvard Grieg and is a very popular piece of "classical" music that is instantly recognisable by people across the world. What I didn't realise (until recently) is that the "Mountain King" actually refers to a troll - which means whenever I hear "Treasure Trolls are everywhere, everywhere, everywhere..." to the tune of "In the Hall of the Mountain King" it now makes perfect sense why they picked that music for those troll doll ads during my youth. What never ceases to amaze me is how well "classical" music can work in computer games if applied in the right circumstances. "In the Hall of the Mountain King" was a perfect choice for the combat sequences thanks to the sense of impending doom the music brings. Thanks to Dave Lowe for composing such a memorable soundtrack!